It has been two years since the war in the Middle East began. Coalition forces fight hard against terrorists. One of the intelligencers finds out that the leader of terrorists has the atomic weapon and is going to overkill in two days. The coalition leadership decides to send helicopter of the latest design with the best soldier. You are the hero! Remember, you’ve got only 48 hours. 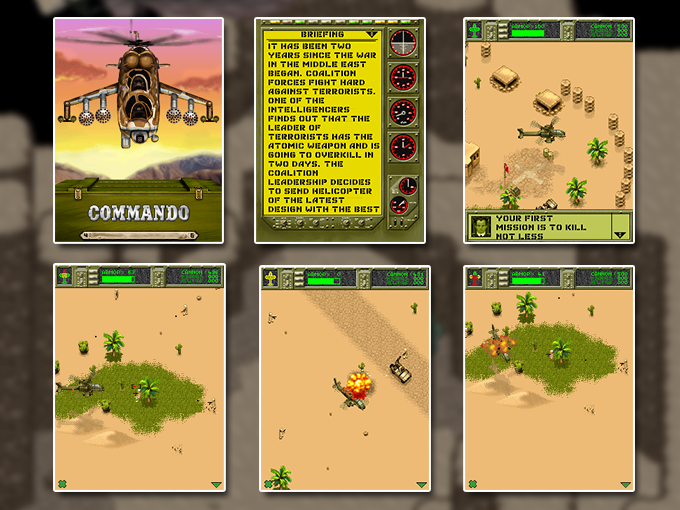 So, Major, your mission is to get to terrorists base, feigning your helicopter’s crash. Don’t worry; the rescue system will save your life.